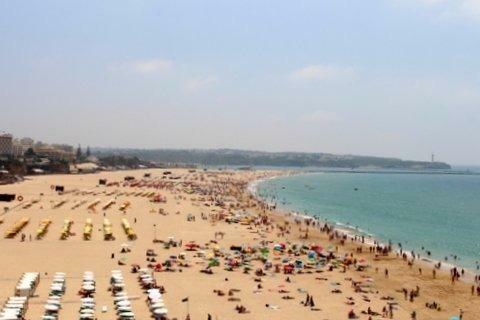 2 bed apartment Praia da Rocha - Property for sale. Full Description: This 5th floor 2 bedroom apartment is very well located just a few hundred metres from the world famous beach of Praia Da Rocha. The resort is one of the most popular in the Algarve with all amenities, shops, restaurants, bars, supermarkets, banks and much more close by. The development is undergoing a refurbishment programme with new lifts already installed and the swimming pool modernised completion in 2016. The apartment comprises 2 double bedrooms with fitted wardrobes, full family bathroom, lounge/dining room with sofa bed and new fully fitted and equipped kitchen with full range of appliances, granite worktops and breakfast bar. There is a laundry area with washing machine on the terrace. The apartment is being sold fully furnished and equipped, has secure parking, entry system, on site reception and security. An excellent value apartment with rental potential. Early viewing recommended.